"Tanglevine comes from Shannon's ancient imagination, an original place where Kentucky dreams a dream of itself." 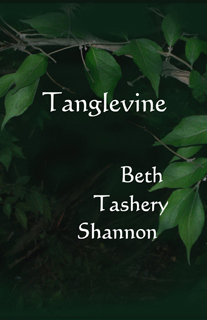 Beth Tashery Shannon is as impossible to categorize as her writing is. Born in Lexington, Kentucky, she holds an MFA in creative writing, has published experimental fiction in Pushcart Prize III and IX, Chicago Review, and TriQuarterly Review, and Twilight actor Edi Gathegi performed her “Bons” with WordTheatre in 2009. Her short story in Pleasures: Women Write Erotica (Doubleday) was partial basis for an ABC TV movie. Also with MA in art history, she worked with the Egypt Exploration Society’s excavations at el-Amarna and contributed to Amarna Reports IV and meetings of the American Research Center in Egypt. Shannon’s other nonfiction includes an essay on Salome in Approaches to Teaching the Works of Oscar Wilde (MLA Press). She has taught university creative writing courses and edited fiction for a publishing house. Under the pseudonym Elizabeth Adair she is the author of The Sun and Stars, a mystery novel set in the court of Henry VIII (BearCat Press, 2012). Currently she lives in Georgetown, Kentucky where she writes, designs books, and volunteers as a tour guide, researcher and back-scratcher for elderly stallions at Old Friends, a retirement facility for Thoroughbred horses.